2015 Buick Regal How our users rated the 2015 Buick Regal. Based on 2,616 user rankings. Driven or own this vehicle? Rank this vehicle to share your opinion. 2015 Volkswagen Passat How our users rated the 2015 Volkswagen Passat. 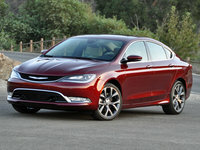 2015 Chrysler 200 How our users rated the 2015 Chrysler 200. Based on 996 user rankings. Driven or own this vehicle? Rank this vehicle to share your opinion. 2015 Volkswagen CC How our users rated the 2015 Volkswagen CC. 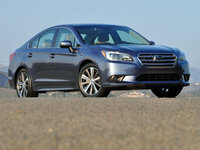 2015 Subaru Legacy How our users rated the 2015 Subaru Legacy. Based on 1,277 user rankings. Driven or own this vehicle? Rank this vehicle to share your opinion. 2015 Honda Accord How our users rated the 2015 Honda Accord. Based on 1,100 user rankings. Driven or own this vehicle? Rank this vehicle to share your opinion. 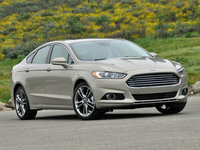 2015 Ford Fusion How our users rated the 2015 Ford Fusion. 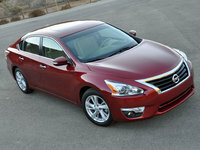 2015 Nissan Altima How our users rated the 2015 Nissan Altima. Based on 1,303 user rankings. Driven or own this vehicle? Rank this vehicle to share your opinion. 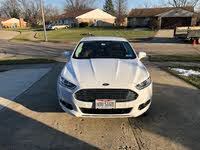 2015 Ford Fusion Energi How our users rated the 2015 Ford Fusion Energi. 2015 Hyundai Sonata How our users rated the 2015 Hyundai Sonata. 2015 Kia Optima Hybrid How our users rated the 2015 Kia Optima Hybrid. Based on 2,919 user rankings. Driven or own this vehicle? Rank this vehicle to share your opinion. 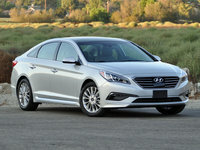 2015 Hyundai Sonata Hybrid How our users rated the 2015 Hyundai Sonata Hybrid. Based on 2,254 user rankings. Driven or own this vehicle? Rank this vehicle to share your opinion. 2015 Kia Optima How our users rated the 2015 Kia Optima. Based on 1,551 user rankings. Driven or own this vehicle? Rank this vehicle to share your opinion. 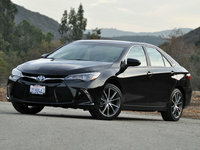 2015 Toyota Camry How our users rated the 2015 Toyota Camry. Based on 1,368 user rankings. Driven or own this vehicle? Rank this vehicle to share your opinion. 2015 Chevrolet Malibu How our users rated the 2015 Chevrolet Malibu. Based on 1,047 user rankings. Driven or own this vehicle? Rank this vehicle to share your opinion. 2015 Chevrolet SS How our users rated the 2015 Chevrolet SS. 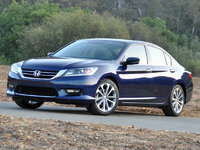 2015 Honda Accord Hybrid How our users rated the 2015 Honda Accord Hybrid. Based on 1,543 user rankings. Driven or own this vehicle? Rank this vehicle to share your opinion.